This is a collection of stills that I have not positively identified yet. For several of these I have narrowed them down a bit, but cannot be certain of the film. To give better resolution, these are included as large image files. Click on the link to see the enlarged image. If youthink you have figured one out, send me an e-mail at jon@lonchaney.org and I will post your name on this site and proclaim you as one of the holy ones. Unidentified #3 c1914; with Murdock MacQuarrie(?) and Pauline Bush. Possibly The Lie (1914), although I don't really think so. 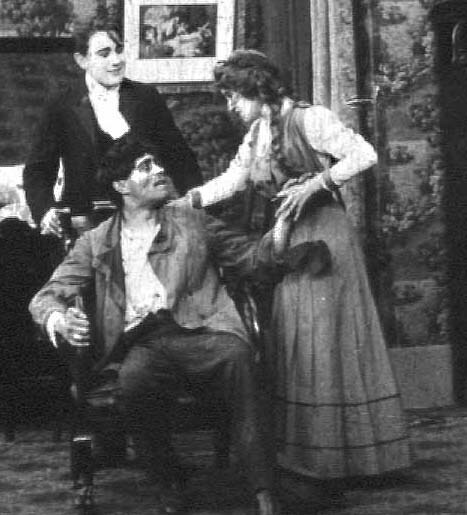 Unidentified #5 c1914; obviously a western setting, and Chaney looks sympathetic, so this could be The Old Cobbler (1914) or possibly The Lamb, the Woman, the Wolf (1914). 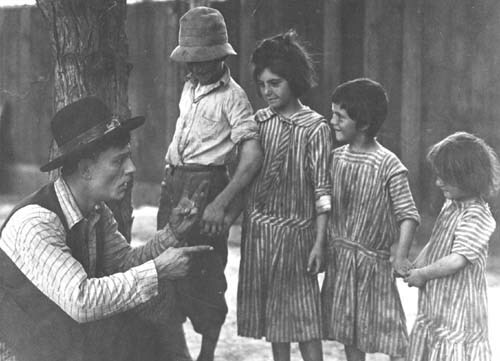 Interestingly, a similar photo from this film appeared in Moving Picture World incorrectly identifid as Discord and Harmony (1914), but the description for that film clearly doesn't match the western-setting photo. There is a growing consensus on the Lon Chaney Facebook Page that this is indeed The Lamb, the Woman, the Wolf, but the costumes don't exactly match either the poster or those in a review still from the time. So this is still, technically, unidentified! 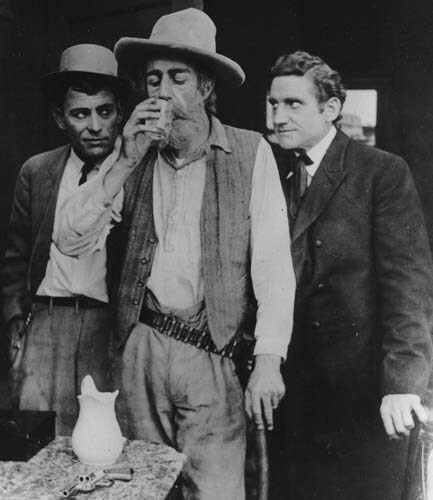 Unidentified #10 c1914; Possibly Red Margaret, Moonshiner (1913), The Old Cobbler (1914) or The End of the Feud (1914). Unidentified #13 **IDENTIFIED! ** Congratulations to Melanie Sutton who has positively confirmed this as being from The Gilded Spider (1916). 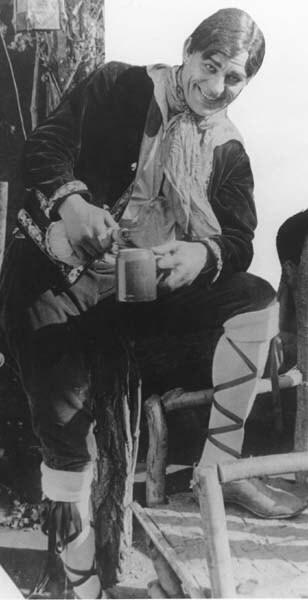 This costume looked different than other shots from the film, but this review for the film has him wearing the same costume. Unidentified #15 I'm not convinced this is from any particular film. It could be some kind of publicity shot, or a makeup test. 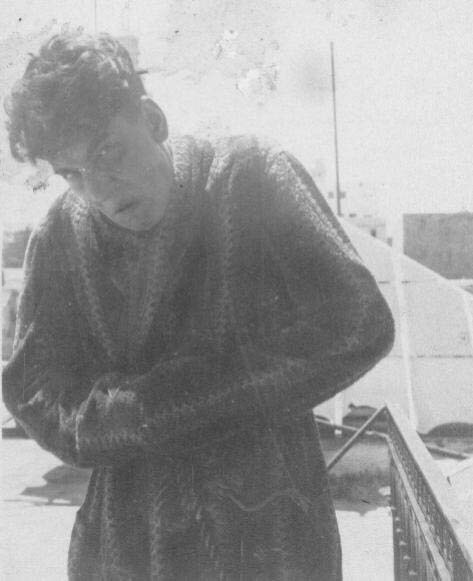 Tod Browning expert Eric Grayson thinks this may be a makeup test from A Blind Bargain (1922) but I can't confirm or deny that. Unidentified #20 This interesting shot comes from a frame blowup of a tiny fragment of surviving 35mm film. 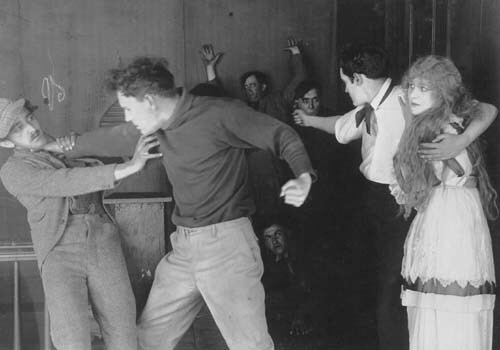 I believe the other players are William Dowland and Pauline Bush, and by process of elimination, the only synopses that seem to fit this photo would be The End the Feud (1914) or An Idyl of the Hills (1915). Unidentified #21 A very interesting postcard I acquired and "Lon Chaney" is professionally printed on the back of the card. Both the card and the typing appear to be teens vintage. 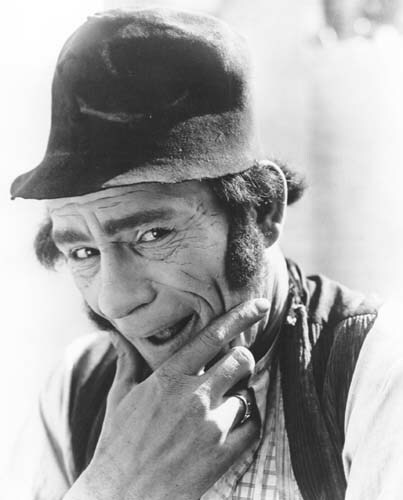 The Lon Chaney Fans group on Facebook has collectively come to the conclusion that this isn't Lon, but it's certainly an interesting shot, so I'm leaving it up for everyone to check it out. Special honors go to Juliana Venier, Critt Davis, The Silents Majority, Michael Blake, Richard Day Gore, Allison Shealy, Tracy Valline and Melanie Sutton who idntified Unidentified Stills #1, 2, 4, 6, 7, 8, 9, 12, 13, 14, 17 and 19.